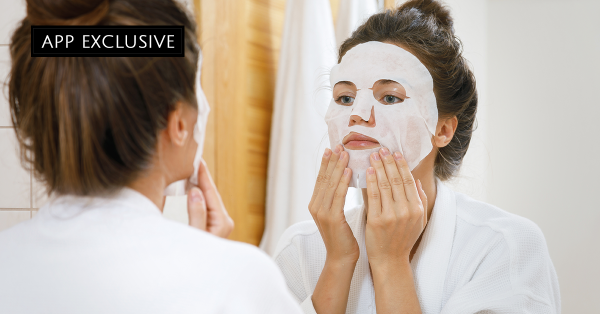 #AskPOPxo: You Asked And We Answered - Are Sheet Masks Really Any Good? Sheet masks are all the rage in the beauty industry and a trend that began in Korea quickly caught on to the rest of the world. The Korean skincare routine is pretty elaborate - with over 10 steps of pampering. While you may not fancy layering on product after product, a sheet mask serves as a quick fix to your Sunday morning pampering routine. We received a number of questions from our readers asking us whether that sheet mask is really worth the splurge or not. Should you invest Rs. 100 in something that you can only use once? We answer all your sheet mask and K beauty related queries. Keep reading! A sheet mask is a quick fix for hydration and hydration alone. So before you expect any miracles from the humble sheet mask, I would suggest you align your expectations! If you have dry skin, you will particularly love the post-sheet mask effect on your skin. So, do sheet masks really work? Yes, they do if hydration is all you seek. Sheet masks act as a quick fix, a boost of hydration for your skin. Use them on weekends when you want to pamper yourself or before you do your makeup for an important event. I would recommend exfoliating your skin with a mild face scrub before you use a sheet mask so that your skin can absorb maximum benefits from the sheet mask. Here's a mini review of one such sheet mask. Will sheet masks give you flawless skin? No. Using a sheet mask every day is not going to take away any skin problems you have like acne or scarring or pigmentation. These sheet masks act as quick fixes for hydration and hydration alone! The post sheet mask glow your skin has will fade away and your skin will kick back to normal once you wash your face. Just as curious as you were, team POPxo decided to take the 7-day sheet mask challenge and here's what happened! Every one of us had a different opinion about using a sheet mask every day.